Bless This Mess centers on a newlywed couple — Rio (Bell) and Mike (Shepard) — that gives up their drab and unfulfilling lives in NYC and moves to Nebraska to live a simpler life. It doesn’t work out like they planned. As previously announced, Oscar Isaac will play Gomez. Matt Lieberman wrote the script, which follows the kooky Addams family as they face-off against a crafty reality-TV host voiced by Janney while also preparing for their extended family to arrive for a major celebration, Addams-style. EXCLUSIVE: There is change at the helm of Starz’s upcoming spy thriller series The Rook, from Lionsgate and Liberty Global. 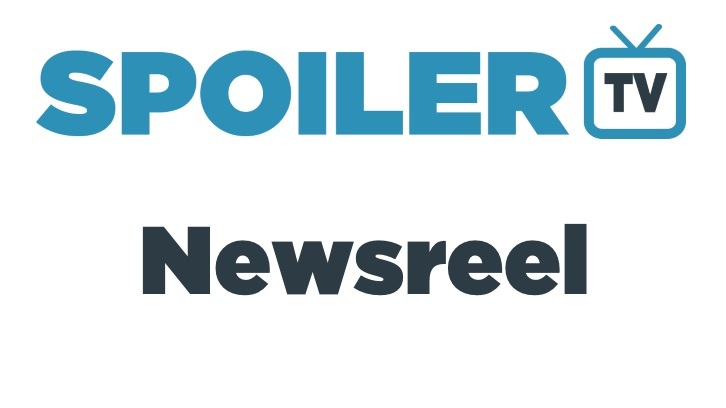 Lisa Zwerling (Betrayal) and Karyn Usher (Bones) have come onboard as showrunners. They will replace in the role The Night Manager‘s Stephen Garrett who remains an executive producer. Meanwhile, Twilight‘s Stephenie Meyer who, via her production company originally brought The Rook to Lionsgate, is stepping away due to differences in creative visions of the project. The behind-the-scenes change comes early in the production of The Rook, which is currently filming the first two episodes of its first-season order in London. The showrunner switch will have no impact on production, which will continue as scheduled. Kevin Abbott, who served as an executive producer on the original series for most of its six seasons on ABC, with stints as showrunner in Season 1 and the second half of Season 6, is back as executive producer/showrunner for Season 7. He will be joined by three other veteran Last Man Standing writer/executive producers, Matt Berry, who also served as showrunner on the original, Kevin Hench and Ed Yeager. Jalyn Hall, who guest-starred in the CW’s All American pilot has been promoted to series regular for the upcoming first season. Hall plays Spencer’s little brother Dillon. The Westworld actor is set to star in Sonic the Hedgehog, The Hollywood Reporter has confirmed. Paramount's upcoming film based on the classic SEGA video game character will use a mix of live action and CGI. Sonic will be helmed by first-time features director Jeff Fowler, who is known for the 2005 Oscar-nominated short Gopher Broke. Made by Imaginarium Productions and Soho Moon, Jamie Dornan (The Fall, The Siege Of Jadotville) and Matthew Rhys (The Americans, The Post) will return to the BBC to lead the cast of Death And Nightingales, joined by Ann Skelly (Red Rock, Kissing Candice). The three part drama is adapted and directed by Allan Cubitt (The Fall). Based on Eugene McCabe’s modern Irish classic, Death And Nightingales is a riveting story of love, betrayal, deception and revenge, set in the beautiful haunting countryside of Fermanagh in 1885. A place where neighbours observe each other and inform, a world of spies, confessions and double dealing; where a pervading sense of beauty is shot through with menace and impending doom. Set over a desperately tense 24- hour period, it’s Beth Winters’ (Ann Skelly) 25th birthday - the day she has decided to join the charming Liam Ward (Jamie Dornan) and escape from her limited life and difficult and complex relationship with her Protestant landowner stepfather Billy (Matthew Rhys). As decades of pain and betrayal finally build to a devastating climax, Death And Nightingales is a powerful and gripping drama that follows a woman struggling to control her own destiny and will illuminate tensions that tear both families and nations apart. Jonathan Cavendish, Producer, says: “We are thrilled to combine the wonderful talents of Matthew Rhys and Jamie Dornan with the remarkable new star in the making Ann Skelly”. Tommy Bulfin, Executive Producer for BBC Two, says: "With the phenomenal Ann Skelly cast as Beth and with Jamie Dornan and Matthew Rhys returning to the BBC, to have a cast of this calibre on board for Death And Nightingales is incredibly exciting. I can’t wait to see them bring Allan’s brilliant scripts to life”. Per Nova969, Fate/EXTRA Last Encore: Oblitus Copernican Theory will release on June 30 on Netflix. P.J. Byrne (Rampage) is set to return for the second installment of HBO’s Emmy-winning limited series Big Little Lies, reprising his role of Principal Nippal. Lesley Ann Warren (Girlfriends’ Guide to Divorce) and Max Ehrich (Under the Dome) are set to recur opposite Georgia Flood in American Princess, Lifetime’s straight-to-series drama from Jenji Kohan, Jamie Denbo and Tara Herrmann. Warren will play Joanntha, Amanda’s (Flood) snobby Upper East Side mother from hell. Joanntha has a narcissistic personality disorder, a massive pill problem and never fails to drunkenly bulldoze every social event she attends. Ehrich is Brett, Amanda’s Manhattan lawyer groom and a bit of an Upper East Side prince.